Manufacturers and vendors that set up an MDF- Coop program, hinge on channel partner performance to keep their business afloat. But in the multifaceted ecosystem of b2b enterprise, it’s not always competitive pricing or modification in consumer demand that impacts manufacturer/vendor productivity or profit. This whitepaper will provide you with a few ideal principlesideal principles to implement into your MDF-Coop program in order to generate a higher ROI. 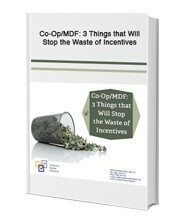 To find out, fill out the form on the right to receive your free copy of “Co-Op/MDF: 3 Things that Will Stop the Waste of Incentives”.